Zucchini – I give up! If you have followed the ongoing saga regarding my failed attempts to grow zucchini, the photograph below will be familiar. Fellow bloggers kindly offered suggestions as to the possible cause along with some remedies. To cut a long story short, I finally decided despite my valiant efforts, it was time to quit and dig them up! You can imagine my surprise when I saw all the white “fluffy” stuff resembling cottonwool attached to the roots! Do you think it’s some sort of insect i.e mealy-bug, a fungus of some description or neither? Any ideas? The raised vegetable area was only consturcted this year and I used compost, processed manure and general soil so nothing had previously been grown in this area. Has anyone else experienced this problem? If so how did you resolve, or if not did you have the same problem the following year? Aww, PiP . . . that’s too bad. Some years, our zucchini has been stellar. Other years, it rots away from borers. Thanks for the link. Looks like I’m not alone! The best thing you could do is ask a few locals they would know. I’d love to speak to the locals but I don’t speak enough Portuguese unfortunately. Even if I did, the Algarve accent and phrasing is a lot different to the Lisbon Portuguese I’ve been taught. It’s the equivalent of a person with a broad Liverpool accent speaking to someone with a broad Irish accent, if you follow my drift! I onced asked one of the real locals for a persons house and was directed to the beach. Mr Piglet thought it was highly amusing. Oh, dear. I wish I had some insight. I don’t, so I’ll be interested to read what others may have to offer. Meanwhile, I salute your tenacity and your decision to go ahead and pull up the plant. Now, my dear, you will get the “root” of the problem! Yes, PiP, hats off to you for your determination and positive attitude in the face of rot, fungus or whatever. thanks Eliz good idea re the seed! The guy at the co op thought temperature was too cold. In June with lowest temps at 19C and highest 33C I was cynical. 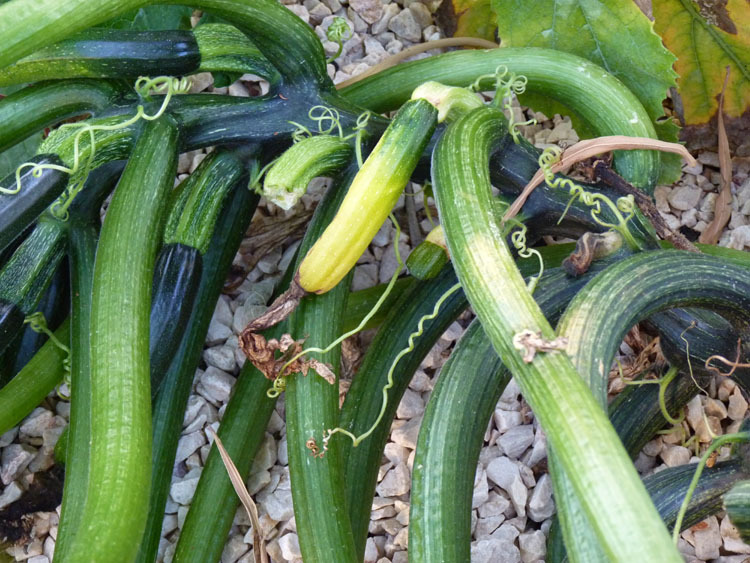 19C in UK is relatively hot and I grew courgettes there…plus one of my friends 1/2 a mile away had so many zucchini they were growing out of her ears! thanks DP, i checked it out but could not see any pictures that resembled the cotton wool roots. However, it does confirm that the blossom end rot i also had was due to calcium deficiency, which someone suggested. Good luck on finding out what’s going on with the roots. Hopefully someone local will have the answer for you. Better luck next year. Thanks Cecelia! Fingers crossed for next year! thanks sharon…here’s to next year! Now that you’ve dug it up, you can identify that white stuff. Discovering that there’s white stuff which is, apparently, bad for green stuff is a good thing. You can get some answers. Good luck, PiP! Applause for your all-star efforts. I’m sad that your squash didn’t do well. You’ve got me stumped on what the white fuzzy stuff is. I’ve surfed around and can’t find anything like it. I hope someone will post soon and identify it. I could not find any answers on the net either! 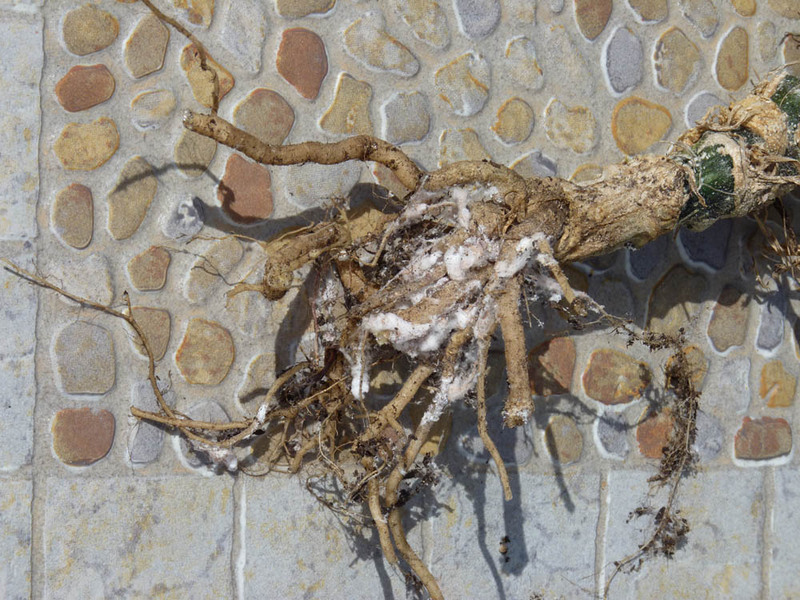 you poor thing.I can’t say I’ve seen cottonwooley roots like that before. We got hit by a hail storn in July. It wiped out the cucumbers. The tomatoes, zucchini and spaghetti squash survived but are just now flowering. By the time any fruit appears the frost will be coming. That’s really strange! I’m growing zucchini for the first time and it’s growing like crazy. I can’t keep up with it and I’m giving some away and freezing what I can for later use. Hope you find some answers. oh no 😦 sorry it didnt work out. I would love to grow my own veggies but I would probably kill fake plants. that is what I have to do….but at least you can say that you tried and you really did give it great effort! Oh Dear…Don’t give up PIP…they look as if they tried!!!! There is no Viagra for Zucchini! A similar fate met my squash. My mom showed me how to check for bugs nearly every day. That’ll be fun next year. It has since been suggested that maybe the compost I used was to potent and should have mixed it with normal soil. 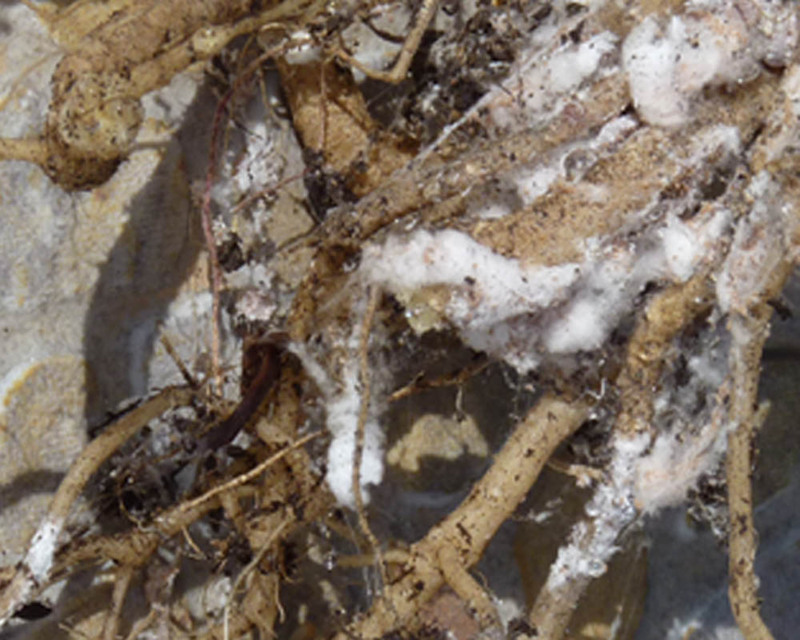 Because there wer too many nutirents in the soil it caused the white fungus. NExt year I need to mix more bog standard soil into the mis to water it down, so to speak. I asked my daddy (the ultimate backyard gardener), as he always seems to know everything about growing veggies. Unfortunately, he’s never had this kind of problem with his zucchini. He plants directly in the ground and doesn’t use very much compost mixed into the soil. His plants seem to thrive year after year. Sorry I can’t help. I’m sure you’ll find a way to grow them next season. Hi SEashell, actually you have helped! It just confirms what a friend of mine said. My soil was too rich and I’d used too much compost and shredded manure. Can’t win!